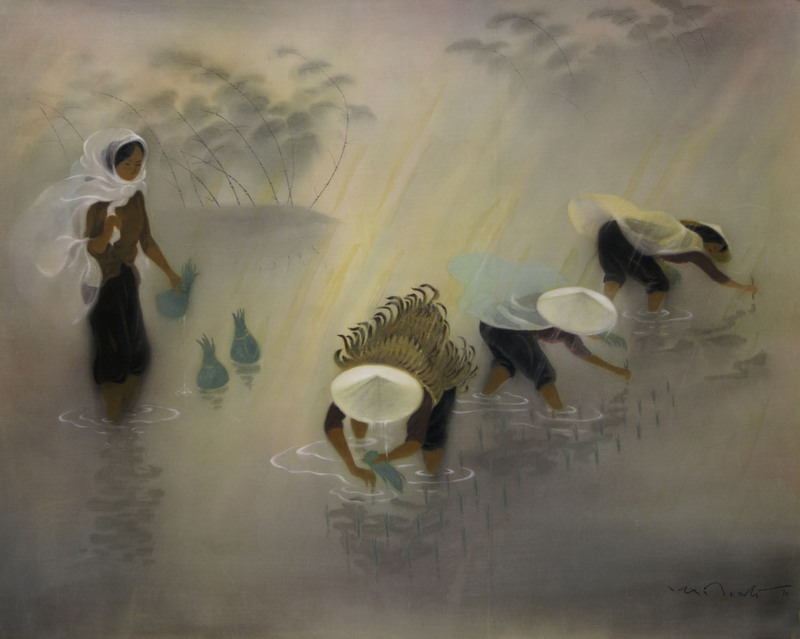 Our dedi­ca­tion : Lotus Gallery has been wor­king hard to dis­co­ver and intro­duce new talen­ted artists in Vietnam. Our objec­tive and busi­ness are to pro­mote tra­di­tio­nal and contem­po­rary Vietnamese fine arts to the world. We deligh­tedly wel­come invi­ta­tions and coo­pe­ra­tion in ope­ning new exhi­bi­tions from Fine Art Organizations and Art Galleries world­wide. After spen­ding 3 years in France during the 1990s, I rea­li­zed there was very little the pri­vate busi­nes­ses had done to intro­duce the Art of Viet Nam to the out­side world. That idea was the moti­va­tion for me to nur­ture Lotus Gallery for the last 10 years. Starting as a local art trader, I gra­dually orga­ni­zed exhi­bi­tions over­sea, in some occa­sions I also pre­sen­ted the accom­pa­nied artists : first in France, then Europe and with the expan­ding Internet, there is LotusGallery.com. With the new Web site, you can view the cata­log, browse art­work by artists, or browse by colors (best if you are after a par­ti­cu­lar color scheme to suite your requi­re­ments), or browse by mate­rials. The Featured art­work is a great sec­tion on our pre­mium col­lec­tion and is always worth a look. Remember, our staff mem­bers are happy to assist with ques­tions you might have via Live chat or Email. We always treat inqui­ries with top prio­rity and great care, so feel free to Contact us at any­time.